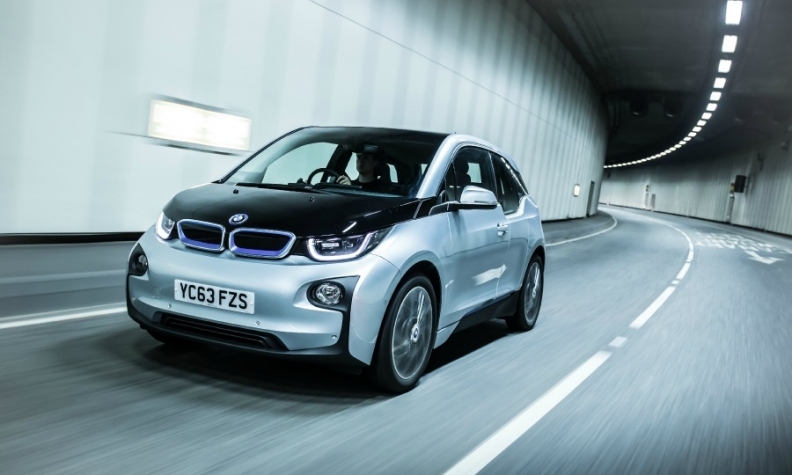 BMW was the first major luxury carmaker to create a stand-alone subbrand for electric vehicles in 2013 with the introduction of its i3. MUNICH -- BMW Group's top labor representative offered a rare public rebuke of the company's leadership, warning that the automaker risks falling behind rivals in the race to develop battery-powered cars. "Management has been slow to decide on investing in more electric models," Manfred Schoch, who's also deputy chairman of BMW's supervisory board, said in an interview on Thursday. The carmaker must expand its range to include electric versions of its core lineup, including 3-, 5- and 7-series sedans, he said. "Anything else would be detrimental to the business." CEO Harald Krueger has had a shaky start since taking up his position in 2015, with BMW set to lose its crown this year as the world's best-selling luxury-vehicle brand to Mercedes-Benz for the first time in a decade. Sales of the redesigned flagship 7 series have also been sluggish. Carmakers from Tesla to Volkswagen Group are aggressively ramping up their EV lineups in a bid to win customers in a shifting market and comply with ever-tightening emissions rules. Volkswagen plans to roll out 30 battery-powered vehicles in the coming years, while Mercedes aims to introduce at least 10 such models. BMW, an early adopter of green auto technology, recently announced a goal to make battery-powered versions of two existing models, the X3 SUV and the Mini. While BMW is set to lose its lead, profitability has stayed within target and the company last week repeated that revenue and sales this year will rise. Krueger's strategy will see BMW make more lucrative, high-end cars like the X7 SUV to help finance steep investments into electric and self-driving cars. Mercedes parent Daimler and BMW both predict sales in the electric segment -- including plug-in hybrids and battery-only autos -- will account for as much as 25 percent of total deliveries in about 10 years. For BMW, that's potentially more than half a million cars based on 2015 sales of 2.25 million vehicles, and compares with a 2 percent share of deliveries now. "Management must invest in electric mobility now" to remain competitive in the future, said Schoch. BMW declined to comment on the demands from the works council chief. While worker representatives have significant influence at German companies and often air their grievances against management in public, the relationship between labor leaders and executives at BMW has in the past been more restrained. In 2013, BMW was the first major luxury carmaker to create a stand-alone subbrand for electric vehicles with its i3 city car, and a year later it introduced the i8 plug-in hybrid sports model. Limited driving range and a comparatively high price for the i3 have contributed to tepid sales, forcing executives to think twice about new investments. The shift away from combustion engines, which have about 1,000 parts compared to just 25 components that make up a typical electric motor, will result in job losses in traditional carmaking, Schoch said. New jobs in areas including software development and mobility services will help soften the blow. Still, about 20 percent of BMW workers in Germany will probably see their jobs change in coming years, which will require additional spending on retraining, he said.